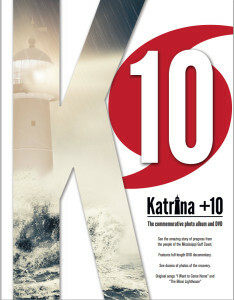 The Ohr-O’Keefe Museum of Art is proud to offer the commemorative photo album and DVD, “Katrina +10,” to mark the 10th anniversary of Hurricane Katrina. It’s a 48-page full-color book with a DVD that features a 45-minute documentary, plus bonus features. All for $20, plus tax and postage. You’ll see dozens of pictures of the inspirational rebuilding efforts of cities along the Mississippi Gulf Coast – from Waveland to Ocean Springs and north to D’Iberville – and you’ll hear firsthand accounts from Mayors and others who were on the front lines, directing the relief and recovery efforts. You’ll see the remarkable story of Marlin Miller, who sculpted the majority of the Katrina sculpture trail in Biloxi and the Mississippi Gulf Coast. You’ll see and hear the greatest speech ever given by A.J. Holloway, Biloxi’s longest-serving mayor, who spoke to mayors across the country five months after Katrina. You’ll see and hear the emotional ode to the Biloxi Lighthouse, as written by singer-songwriter Steve Cason, who was working on a deckhand on the Biloxi Shrimp Tour. And, finally, you’ll see the epic story of the Croatian-Cultural Society, the group whose Slavonian Lodge is back in its proud location on Biloxi’s Point Cadet, which was leveled by Katrina. Get it now at one of the outlets below or order online and receive it within three to five days by clicking here. Bay St. Louis: Bay Books, 131 Main St.
Gulfport: Triplett-Day Drug Co., 2429 14th St.
Long Beach: Lois’ Flower Shop, 200 Jeff Davis Ave. 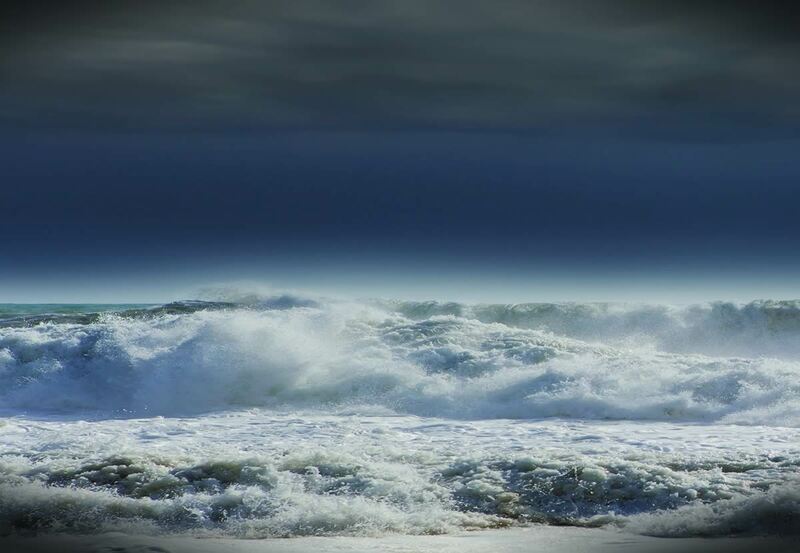 Pass Christian: Purple Pelican, 116 Davis Ave.
Waveland: Port of Call, 228 Coleman Ave.